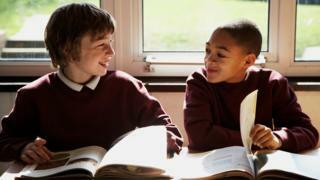 An overhaul of how children with additional learning needs are treated in education has been backed by AMs. The Additional Learning Needs and Educational Tribunal Bill will replace the system of statements with individual development plans. The law caused controversy after an estimate of what officials thought the law would cost spiralled by £12.7m. The Welsh Government has said it wants to improve exam results of those who need extra support. The bill allows parents to appeal to a tribunal against decisions made about a child's learning needs. It replaces existing legislation surrounding special educational needs. Welsh Government assessments initially stated the bill would result in savings of £4.8m over four years - but this later became an estimated cost of £7.1m. Former life long learning minister - now cabinet secretary for local government - Alun Davies said that the difference in costs had been "disappointing". The changes came after a charity, SNAP Cymru, disputed the Welsh Government's figures for the cost to councils of resolving disagreements over the provision of help for children with special educational needs. Plaid Cymru education spokesman Llyr Gruffydd said his party was pleased to see the legislation pass but added: "It's crucial now that the government allocates adequate resources to cover the cost of implementing it, in order to deliver the fundamental change needed for children and young people with ALN."